"Creative worship design is not about making worship entertaining. It is about making worship a deeper, richer, more immediate and authentic experience. 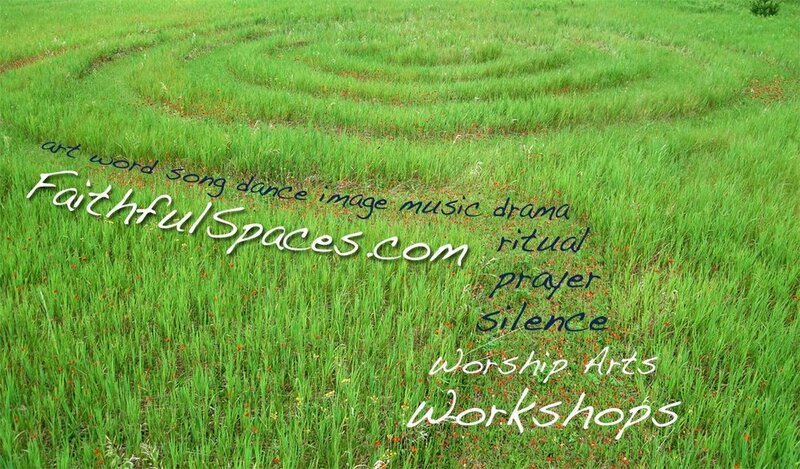 Susan has a subtle and grounded way of designing worship that is moving—that is to say, it moves us from where we were into new depth of relationship to God, by moving beyond rituals that can sometimes become dry and brittle from repetition, by incorporating more than the senses of sight and hearing into our worship, moving our bodies as well. She also has a gift for inclusion, for seeing, drawing out and nourishing others' gifts and building community. She and her work are a delight and an inspiration, and I have treasured the opportunity to work with her. I eagerly look forward to the next time I have that chance." We know when worship is well designed – it feels inspired by God, it connects us to the Holy and to each other, we leave with deepened commitments as disciples of Jesus. Not all of us feel gifted or knowledgeable about how to create sacred space and time. I want to suggest that the exegetical skills we learn in seminary can help us design better worship if used in other ways. If we apply exegetical questions to music, images, art, movement and ritual, as well as scripture, we can create more integrated worship experiences. We know that each person has multiple intelligences through which we learn. We know that folks are open in different ways to the movement of the Spirit. 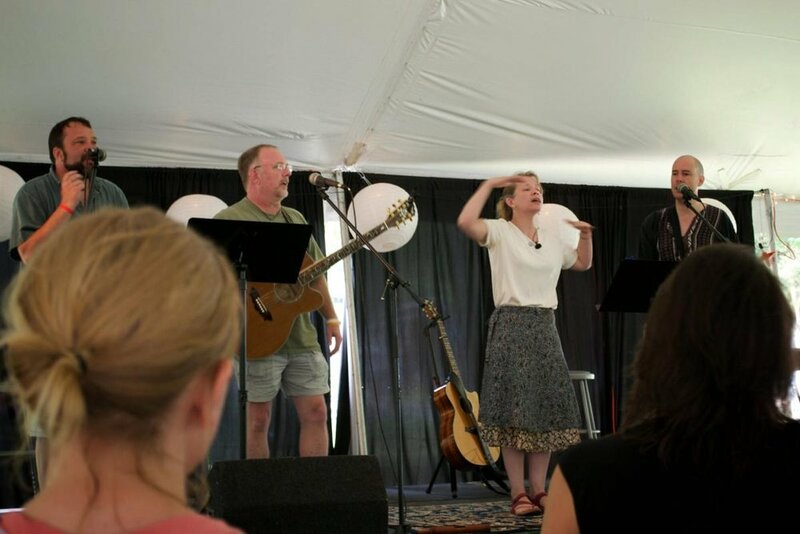 Worship can be theologically solid, yet provide many opportunities for worshippers to open their hearts, offer their spirits, confess their sins, receive forgiveness, praise God, commit their gifts and be commissioned to live their faith. I am convinced that there are people in the world who want worship to be boring, I just don’t happen to be one of them. Miriam danced at the far side of the Red Sea. David danced through the streets of Jerusalem. You too can follow the faithful traditions of dance as one way to express your faith and praise God. You need no former experience or formal training. You do need comfortable clothes and a willingness to move with the Spirit. Together we experience movement, design choreography and consider how to incorporate dance into worship, ministry, classes and your own faith journey. In the midst of dramatic and global changes in society, the cultures of churches are changing, too. Important conversations are considering new questions of authority, ancient/future styles of worship, increased emphasis on relationship and discipleship, and the role of technology in communities of faith. Faithful changes are happening in many different settings, including rural and urban, graying mainline congregations and new church plants. In this workshop I will share stories of how the Spirit has been moving in Shawano and invite you to reconsider how your neighbors are growing as disciples of Jesus. If you are an early adopter of change and excited about new expressions of faithfulness in the 21st century -- join our conversation. If you are suspicious of all these changes -- join the conversation and see what God is doing in our midst. I love worship when all elements work together to lift the gospel message and point us on toward God. As a pastor, I want the visual arts we incorporate in worship to be wonderful teaching tools, effective meditations on Scripture and lift up the Word for the gathered community. What skills will allow us time and space to design and create visuals that become liturgically meaningful aspects of worship? What makes visuals liturgically meaningful anyway? Most of the rest of us understand that church folks are profoundly visual and that younger generations experience significant parts of their lives online. Young people say being read to is the most boring part of worship. I consider the screen to be the equivalent of 21st century stained glass windows. And like stained glass, projection can be beautiful, powerful expressions of our deeply held convictions. Like some stained glass, our projection can also be confusing, cluttered or pretty to the point of obfuscating the significance of the biblical story and the world reality of life lived faithfully. To the extent that projection, like music, liturgy, sacraments and preaching, can point the gathered community toward the movement of the Spirit in the world, then we should use any means at our disposal to communicate more effectively. That said, a congregation with a clearly expressed preference for traditional worship should be respected. Projection can be utilized across a broad range of worship styles – just like other worship elements.